This is a great example of an information based website that targets a well defined market that uses very specific long tail keywords in search engines such as Google. MOO is an experienced and proficient designer and developer of WordPress websites. Whilst this is a relatively simple website, we have drawn on our business marketing, graphic design, content marketing, copywriting and SEO knowledge to produce an aesthetically pleasing site that ranks very well for specific keyword strings and controls website traffic. Not only does the website look professional, the content is informative and structured in a way that appeals to visitors, encouraging them to stay longer, look deeper and most importantly, make enquiries. MOO has significant expertise in organic search ranking; websites that appear because of their relevance to the search terms, as opposed to paid advertising. 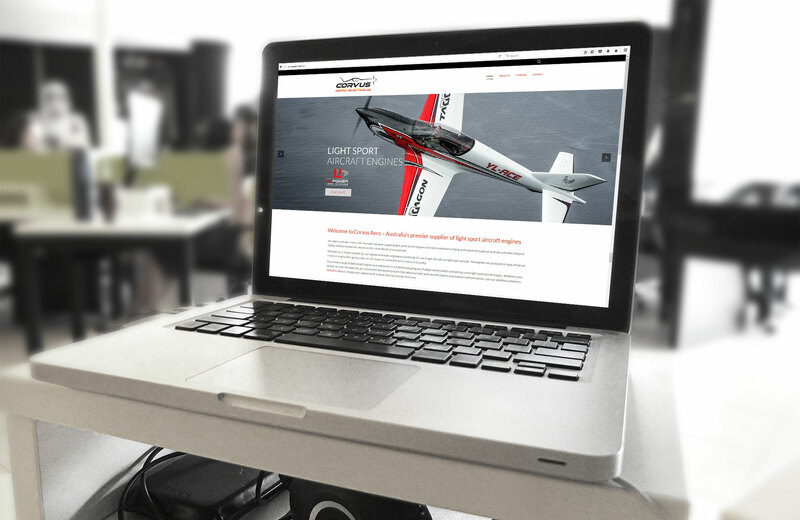 The Corvus Aero WordPress website showcases the ability to have a website that ranks well organically. Important if you want to keep your marketing costs down! MOO has also installed Google Analytics on the site. This allows us to monitor website traffic on an ongoing basis and make adjustments to content and layout as required. MOO designs and develops WordPress websites for a small and larger businesses and we cater for a range of marketing budgets. A well designed and functional website is a critical component of your digital marketing strategy. If you need a website or need to upgrade from an existing website contact us today! We’d love to hear from you.